Last month I wrote a blogpost about the YouTubers that I'd been loving that month and I actually did enjoy it, similarly to how I enjoy writing about my favourite blogs or instagrammers of the moment, too. For me, YouTube is a great way of getting to sleep; I like watching a variety of different channels, popular or not and I've found it really helps me to wind down. 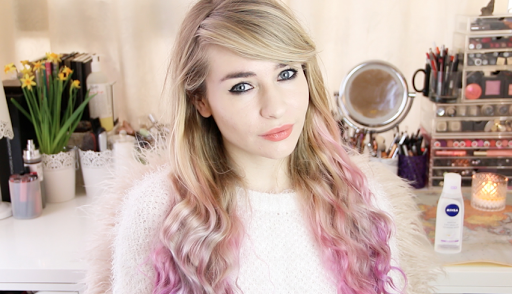 It's nice to just lay back and watch hauls, vlogs or beauty/fashion related tutorials. I feel like I've been enjoying quite a random mix of female YouTubers this month and they're all fairly established and successful in the YouTube and internet worlds. I've not been subscribed to Lucy for very long but thus far I've found her to be both refreshing and relatable. Her videos tackle a variety of subjects that would concern a twenty-something aged female, from the more standard YouTube videos such as 'Get Ready With Me' and 'Monthly Favorites' to more interesting and definitely more creative videos featuring poetry and spoken word. 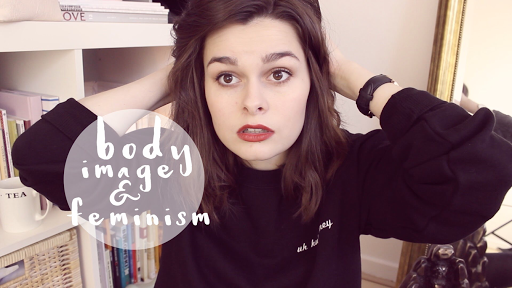 Lucy comes across as super intelligent but touching on subjects that are usually seen as taboo like alcohol addition made me really start to enjoy her videos, particularly as she doesn't seem overly polished or put together. I admire her honesty and girl next door vibe. 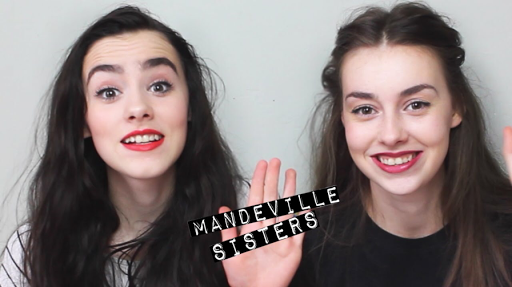 Two sisters (as the channel name would suggest) who create sketches and weekly vlogs are an excellent way of tackling the sigma surround physical disabilities as one sister has only one arm. However their humour, beauty and intelligence definitely prove that it's more than possible to have it all whilst making interesting but chatty videos. 'I lost my virginity', 'We are not perfect' and 'Why are you single?' are all examples of hilariously witty videos that not only feel relatable as they're subjects that most young females have to deal with but also have an appeal due to their honesty aspect; theyre not only charming, but likeable. Emily is one of those women who is ridiclously beautiful; but to be honest I actually really like the kinds of videos she posts as she often tests new make up, which helps someone like me decide whether it's worth spending my money or hauls ranging from Primark to Sephora. Considering how she seems to have it all, she does come across as fairly down to earth and her vlogs when she's at home with her family who she seems to be super close to which is nice. Her make up collection is literally insane and as I'm a fairly nosy person I just love peeking in at how other people live. I really love Meg's videos and I've found that she always comes across as extremely relatable, for example she has a full time job outside of YouTube which is nice. I've been watching her for quite a while, one of the things that I really like is that she sits down with a cup of tea and comes across as being really chatty, relaxed and friendly. Her videos are rather varied, but my favourites at the moment are the first impressions and testing of new make up as she's got a very similar skin tone to mine so it's really useful to see what make up suits pale skin without spending a lot of money. 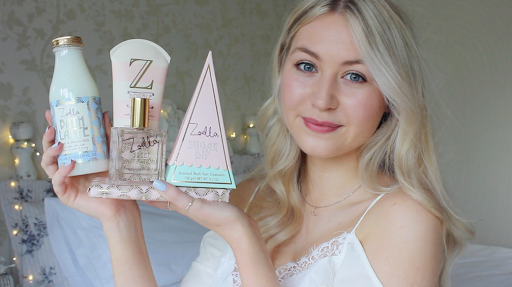 Also she indulges in hauls and first impressions of blogger merchandise, such as the Zoella beauty and lifestyle ranges and giving genuine opinions. Katie is one of the lesser known YouTubers on this list but actually my favourite; she's just so real and honest which is amazing to see. Whether that's talking about a difficult break up or having awful acne, she's like a breath of fresh air, reminding the viewers that even YouTubers don't have a perfect life. I feel like her videos are really well done and not just the same old challenges or tags. She's definitely braking the mold; her 'what's in my party bag?' video was actually so helpful in making me realise that I drag around too much crap all the time! She's one to watch for sure.